Obeetee Carpets: The Extraordinary Traditional Weaves of Indian Wonder! The ‘Proud to be Indian’ series is intended to be a celebration both of India’s own carpet-weaving history as well as the company’s own 100-year anniversary. Already, the series has proven to be a big hit and is entering its second edition. This time, designer duo David Abraham and Rakesh Thakore are collaborating with Obeetee to design carpets to celebrate India and Obeetee’s Indian heritage. Abraham and Thakore are of course the founders of Abraham & Thakore, the famed fashion, accessories and home textiles firm. 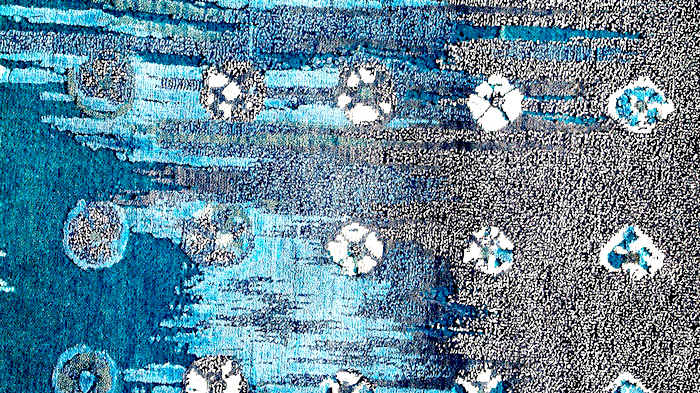 This choice of design team by Obeetee may not be very surprising, but for a series of carpets celebrating Indian heritage, there are few designers who are better qualified. Their new carpets are much more traditional, reflective of classical Indian carpets. The handcrafted rugs utilise double Ikat Telia Rumal geometry, include the borders of vintage saris from Kanchipuram, block prints from Sanganer, and tie-and-dye from Kutch. Despite using traditional techniques of construction and decoration, the actual graphic designs are modernist, and the colour palettes are bold without being obnoxious. Abraham and Thakore clearly know how to walk up to the limit of progressive design without going over the edge into avant garde territory. They are also designed in such a way as to give the impression of being an antique. While the colour palette is bold, it is counterbalanced by the hand-knotted fabric being given an overall subdued effect. This, however, gives the carpets a certain distinction to them rather than merely looking old or worn out. One can also see in the carpets the art of calligraphy, like old handwritten letters in faded ink, in addition to the calligraphic strokes themselves. 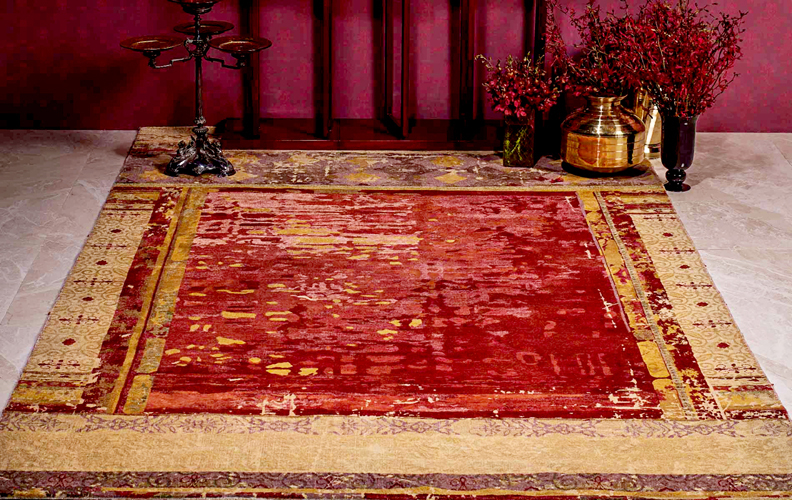 It cannot be over-emphasized how much of this collection’s beauty derives from the hand knotted carpet, where millions of threads are individually knotted together to create the complex surface of the script in matt and sheen. The technical skill required to produce such a piece of design is considerable, and can only be acquired by long and careful study. Adding to this amazing achievement is that the carpets all use different yarns and finishes; Obeetee uses only the finest silk, and these rugs are woven with a knot density of about 200 knots per square inch. Obeetee themselves have said this project is an effort to bring the loom into the modern Indian context and highlight “India’s fascinating elements”. Looking at the handmade carpets they’ve put forward, which are nothing short of works of art, it’s impossible to say they’ve achieved anything less than spectacular success. The carpets are some of the finest India has to offer, and would be a proud and tasteful addition to any proper home.